That my friends is how many days it is until Christmas. I've made it no secret that I love Christmas and the holiday season. I can't wait to bring all of my decorations out of the closets and fill the house with holiday décor. I'll decorate each room, one by one filling it with Christmas knickknacks. The last two years, I've put together a new theme tree. Two years ago it was the candy apple red tree that was filled with unique ornaments. 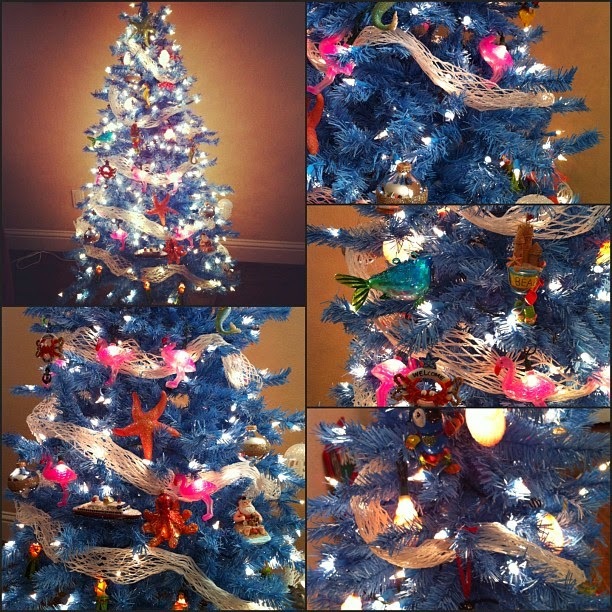 Last year, I created a beach themed tree filled with sea creatures, hula dancer lights and a light house tree topper. I went all out with that tree! I can't wait to start working on it but sharing a house with someone now means I have to also respect their wishes of celebrating Halloween before putting anything Christmas up. In the meantime I'll plan out my decorations and gear up. I'll accumulate all the decorations I need and be ready to put everything up the day after Halloween is over. What goes best with Thanksgiving turkey? A Christmas tree! And for those of you who might be wondering, the white candy tree will be back again this year. It'll be it's third year and I always worry about the lights coming on! Haha! Are you planning your decorations early? What's your favorite holiday to decorate the house? 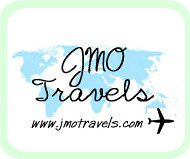 Yay that means it's just a little over 100 days till my honeymoon! You put xmas stuff up the day after Halloween? Wow, that's early. 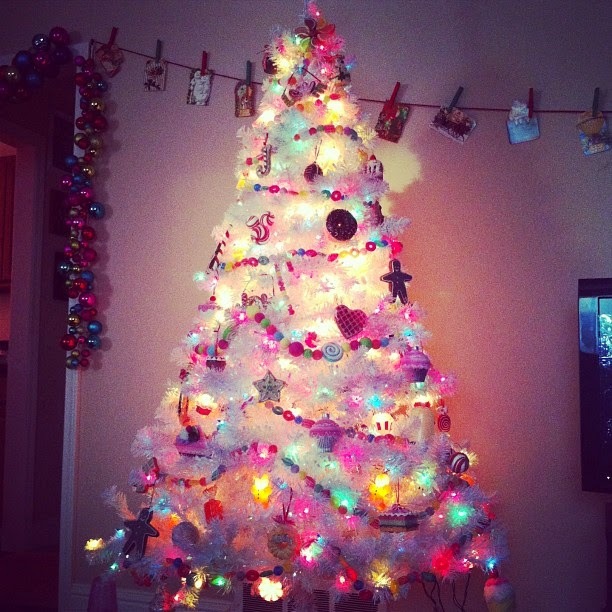 Love the candy tree, gorgeous. You do such great stuff for holidays, maybe you should set up a side business and charge people for doing their decorations.